Helen Bennion first came to UCL in 1985 to study Geography where she obtained a first class honours degree and some years later a PhD, which examined sediment records of eutrophic ponds in south-east England. She was awarded a post-doctoral Royal Society Research Fellowship and spent a year at the Institute of Limnology, Mondsee in Austria. She returned to the Department of Geography at UCL in 1995 to take up a post as Research Fellow with the Environmental Change Research Centre (ECRC) and was promoted to Senior Research Fellow in 2001, then to Principal Research Associate in 2009, to Reader in Environmental Change in 2011, and most recently to Professor in Environmental Change in 2017. Her research interests are in aquatic ecology and palaeoecology with a focus on freshwater diatoms. Over the last twenty-five years she has undertaken numerous national and international research projects examining the impacts of eutrophication on standing fresh waters over a range of time scales and employing lake sediment records to assess environmental change, reference conditions and restoration targets. Since 1996, she has been involved in EU collaborative research on five large multi-partner projects (BIOMASS, EDDI, Euro-LIMPACS, WISER and REFRESH), the most recent of which examined climate-nutrient interactions in aquatic ecosystems. 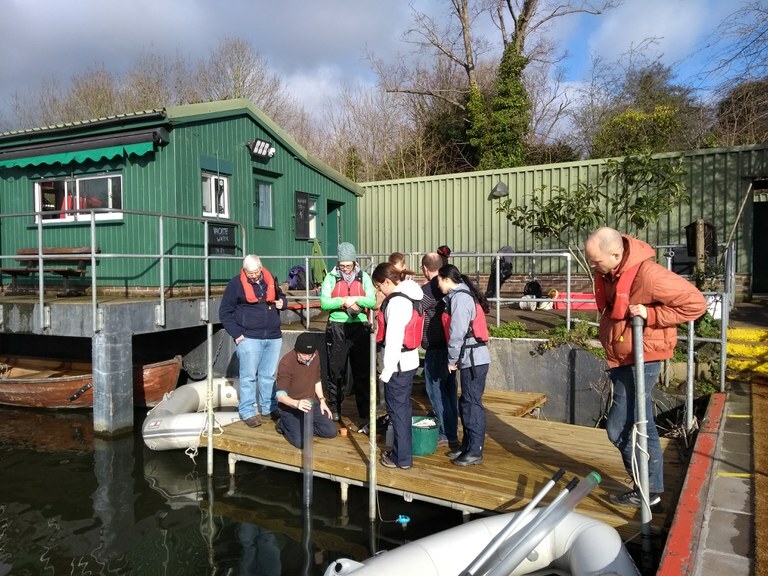 She is currently working on a large NERC HIghlight Topic project 'Hydroscape' that explores how stressors and connectivity interact to influence biodiversity and ecosystem function in freshwaters across Britain. Helen is interested in the application of science to lake management and conservation, particularly the EU Water Framework Directive. She was an invited member of the UK Lakes Task Team and UK Eutrophication Forum which advised on strategic research and development, and fed into environmental policy. Until 2018, much of Helen’s applied research was carried out via ENSIS Ltd, the consultancy affiliated to the ECRC, of which she was appointed Director in 2006. ENSIS closed for business in March 2018. Her publications include around 70 academic articles and over 80 research reports and she is a peer reviewer for numerous international scientific journals and funding bodies. She has supervised more than 20 Masters and PhD students and teaches on undergraduate and masters courses including topics of lake eutrophication, palaeoecological methods, water policy, lake management and conservation. 2017- Professor in Environmental Change, Environmental Change Research Centre, Department of Geography, University College London. 2011-2017 Reader in Environmental Change, Environmental Change Research Centre, Department of Geography, University College London. 2009-2011 Principal Research Associate, Environmental Change Research Centre, Department of Geography, University College London. 2001-2009 Postdoctoral Senior Research Fellow / Environmental Consultant (joint post), Environmental Change Research Centre / ENSIS Ltd, Department of Geography, University College London. 1995-2001 Postdoctoral Research Fellow / Environmental Consultant (joint post), Environmental Change Research Centre / ENSIS Ltd, Department of Geography, University College London. 1993-1994 Royal Society Research Fellow, European Science Exchange Programme, Institute of Limnology, Mondsee, Austria. 1988-1989 Research Associate, Palaeoecology Research Unit, Department of Geography, University College, London. 1987 - H.C. Darby Prize in Geography, University College London. 1988 - R. Morrison Faculty of Arts Prize, University College London. 1996- Peer reviewer for numerous international scientific journals. 2000- Member of the Freshwater Biological Association. 2004- Research Associate of The Macaulay Institute, Aberdeen. 2005-2009 Invited member of UK Lakes Task Team. 2005-2009 Invited member of UK Eutrophication Forum. 2005-2018 Member of the Board of ENSIS Ltd, UCL. Johnson, R.K., Battarbee, R.W., Bennion, H., Hering, D., Soons, M.B., Verhoeven, J.T.A. (2010). Climate change: defining reference conditions and restoring freshwater ecosystems. In M. Kernan, R.W. Battarbee & B. Moss (eds), Climate Change Impacts on Freshwater Ecosystems. Wiley, Blackwell. pp. 203-235. Bennion, H., Sayer, C., Tibby, T., Carrick, H. (2010). 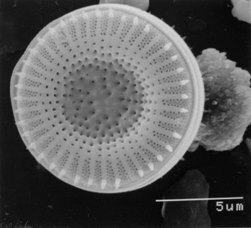 Diatoms as indicators of environmental change in shallow lakes. In E.F. Stoermer & J.P. Smol (eds), The Diatoms: Applications for the Environmental and Earth Sciences, Second Edition. Cambridge University Press pp. 152-173. Jeppesen, E., Moss, B., Bennion, H., Carvalho, L., DeMeester, L., Feuchtmayr, H., ...Lauridsen, T.L. (2010). Interaction of climate change and eutrophication. In M. Kernan, R.W. Battarbee & B.Moss (eds),Climate Change Impacts on Freshwater Ecosystems. Wiley, Blackwell, pp. 119-151. Bennion, H., Shilland, E., Appleby, P.G. (2003). An assessment of recent environmental change in Llyn Tegid using the sediment record. In Gritten, R.H., Duigan, C.A., Millband, H. (Eds. ), The Ecology, Conservation and Environmental History of the Largest Natural Lake in Wales. University of Liverpool pp. 153-168. Duigan, C.A., Monteith, D.T., Carvalho, L., Bennion, H., Hutchinson, J., Seda, J.M., Evans, F. (2003). The current ecological and conservation status of Llyn Tegid (Bala Lake), Snowdonia National Park, and aspects of its management. In Gritten, R.H., Duigan, C.A., Millband, H. (Eds. ),The Ecology, Conservation and Environmental History of the Largest Natural Lake in Wales. University of Liverpool, pp. 27-48. Bennion, H., Simpson, G., Battarbee, R.W., Cameron, N.G., Curtis, C., Flower, R.J.,…..Monteith, D.T. (2002). Environmental Change in Scottish Fresh Waters. In Usher, M.B., Mackey, E.C., Curran, J.C. (Eds. ), The State of Scotland's Environment and Natural Heritage. The Stationery Office, Edinburgh pp. 145-152. Battarbee, R.W., Jones, V.J., Flower, R.J., Cameron, N.G., Bennion, H., Carvalho, L., Juggins, S. (2001). Diatoms. In Smol, J.P., Birks, H.J.B., Last, W.M. (Eds. 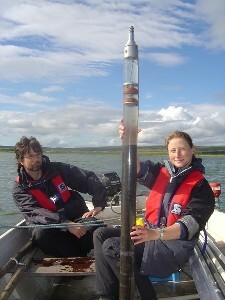 ), Tracking Environmental Change Using Lake Sediments. Volume 3: Terrestrial, Algal, and Siliceous Indicators. Kluwer Academic Publishers, Dordrecht, The Netherlands pp. 155-202. Bennion, H. (1995). A summary of diatom-phosphorus training sets for the ponds of south-east England, and the Meres of Cheshire and Shropshire.. In Patrick, S.T., Anderson, N.J. (Eds. ), Ecology and palaeoecology of lake eutrophication. DGU Service Report No. 7. pp. 33-35. DGU, Copenhagen. Juggins, S., Anderson, N.J., Bennion, H. (1995). Quantitative phosphorus reconstructions from sedimentary diatom remains. In Patrick, S.T., Anderson, N.J. (Eds. ), Ecology and palaeoecology of lake eutrophication. DGU Service Report No. 7. DGU, Copenhagen, pp. 19-26. Bennion, H. (1995). Validation of diatom-phosphorus transfer functions: an example from Mondsee, Austria. In Patrick, S.T., Anderson, N.J. (Eds. ), Ecology and palaeoecology of lake eutrophication. DGU Service Report No. 7. DGU, Copenhagen, pp. 27-29. Kelly,M.G., Bennion,H., Cox,E.J., Goldsmith,B., Jamieson,J., Juggins,S., Mann,D.G., Telford,R.J. (2006). An interactive CD-ROM for identifying freshwater diatoms. In Proceedings of the 18th International Diatom Symposium, Series edited by Witkowski, A. Bristol, Biopress. Bennion,H., Simpson,G., Hughes,M., Phillips,G., Fozzard,I. (2003). The role of palaeolimnology in identifying reference conditions and assessing ecological status of lakes. How to assess and monitor ecological quality in freshwaters. Tema Nord, 547, 57-63. Series edited by Ruoppa,M., Heinonen,P., Pilke,A., Rekolainen,S., Toivo,H., Vuoristo,H.. Nordic Council of Ministers, Copenhagen. Bennion,H., Fozzard,I., Phillips,G. (2002). Identification of reference lakes and assessment of reference conditions for UK lake ecotypes: palaeoecological approaches. Proceedings of the Science for Water Policy (SWAP): The Implications of the Water Framework Directive Conference series. Series edited by Ledoux,L., Burgess,D. Norwich. Battarbee, R.W., Juggins, S., Gasse, F., Anderson, N.J., Bennion, H., Cameron, N.G. (2000). European Diatom Database (EDDI). An Information System for Palaeoenvironmental Reconstruction. European Climate Science Conference, 1-10. Bennion, H., Whitmore,T., Sayer,C.D, Davidson,T. (eds) (2018) Putting the ecology into paleoecology. Journal of Paleolimnology Special Issue 60 (2). Battarbee,R.W., Bennion,H. (eds) (2012) Palaeolimnological and neolimnological evidence for the impact of climate change on European lakes’. Freshwater Biology Special Issue 57 (10). Bennion,H., Battarbee,R.W. (eds) (2011). Reference states and lake restoration: the role of palaeolimnology. Journal of Paleolimnology Special Issue 45 (4). Bennion H., Sayer C., Clarke S., Davidson T., Rose N, Goldsmith B., Rawcliffe R., Burgess A., Clarke G., Turner S & Wiik E. (2018) Sedimentary macrofossil records reveal ecological change in English lakes: implications for conservation. Journal of Paleolimnology, 60, 329-348. doi:10.1007/s10933-017-9941-7. Bishop I.J., Bennion H., Patmore I.R. & Sayer C.D. (2018) How effective are plant macrofossils as a proxy for macrophyte presence? The case of Najas flexilis in Scotland Journal of Paleolimnology, 60, 153-165. doi: 10.1007/s10933-017-9988-5. Davidson T.A., Bennion H., Reid M., Sayer C.D. & Whitmore T. (2018) Towards better integration of ecology in palaeoecology: from proxies to indicators, from inference to understanding. Journal of Paleolimnology, 60, 109-116. doi: 10.1007/s10933-018-0032-1cology of lacustrine testate amoebae: insights from a plant macrofossil record from a eutrophic Scottish lake. Journal of Paleolimnology, 60, 189-207 doi: 10.1007/s10933-017-9966-y. Prentice S.V., Roe H.M., Bennion H., Sayer C.D. & Salgado J. (2018) Refining the palaeoecology of lacustrine testate amoebae: insights from a plant macrofossil record from a eutrophic Scottish lake. Journal of Paleolimnology, 60, 189-207 doi: 10.1007/s10933-017-9966-y. Moss, B., Hering, D., Green, A.J., Adoud, A., Becares, E., Beklioglu, M., Bennion, H...Carvalho, L. (2009). Climate change and the future of freshwater biodiversity in Europe: a primer for policy-makers.. Freshwater Reviews, 2 103-130. Gell, P., Bennion, H., Battarbee, R.W. (2009). Paleolimnology and the restoration of aquatic systems.. PAGES News, 17 119-120. Molversmyr, A., Bunting, L., Burgess, A., Bennion, H. (2008). The eutrophication of Lake Frøylandsvatn, South-Western Norway, as indicated by the sedimentary records. International Association of Theoretical and Applied Limnology, Vol 30, Pt 4, Proceedings, 30 560-564. Battarbee, R.W., Morley, D., Bennion, H., Simpson, G.L. (2007). A meta-database for recent paleolimnological studies. PAGES News, 15 23-24. Bennion, H. (2001). Book Review of "The Structuring Role of Submerged Macrophytes in Lakes" (eds. E. Jeppesen, M. Sondergaard, & K. Christoffersen). Journal of Paleolimnology, 26 230-232. Laczko, E., Neunlist, S., Bennion, H., Sturm, M., Pretus, J.L. (2001). Evaluation of microbial diversity - Productivity relationships on the basis of a multi food web mode. Verhandlungen der Gesellschaft fur Okologie, 31 69-. Bennion, H., Appleby, P.G. (1999). An assessment of recent environmental change in Llangorse Lake using palaeolimnology. Aquatic Conservation: Marine and Freshwater Ecosystems, 9 (4), 361-375. Duigan, C.A., Reid, S., Monteith, D.T., Bennion, H., Seda, J.M., Hutchinson, J. (1999). The past, present and future of Llangorse Lake - a shallow nutrient-rich lake in the Brecon Beacons National Park, Wales, UK. Aquatic Conservation: Marine and Freshwater Ecosystems, 9 (4), 329-341. Bennion, H., Harriman, R., Battarbee, R.W. (1997). A chemical survey of standing waters in south-east England with reference to acidification and eutrophication. Freshwater Forum, 8 28-44. Bennion, H., Duigan, C.A., Haworth, E.Y., Allott, T.E.H., Anderson, N.J., Juggins, S., Monteith, D.T. (1996). The Angelsey Lakes, UK: changes in trophic status of three standing waters as inferred from diatom transfer functions and their implications for conservation. Aquatic Conservation: Marine and Freshwater Ecosystems, 6 (2), 81-92. Duigan, C.A., Allott, T.E.H., Bennion, H., Lancaster, J., Monteith, D.T., Patrick, S.T., ...Seda, J.M. (1996). The Anglesey Lakes, Wales, U.K.: A Conservation Resource.. Aquatic Conservation: Marine and Freshwater Ecosystems, 6 (1), 31-55. Bennion, H. (1994). A diatom-phosphorus transfer function for shallow, eutrophic ponds in southeast England. Hydrobiologia, 275 391-410. Bennion, H. (2005). Material World. Guest speaker on Radio 4 programme, 1st September. Bennion, H., Goldsmith, B., Yang, H., Goodrich, S. (2016). A palaeolimnological study of Loch Shin, Scotland. Final report to SEPA and the Forestry Commission. ECRC Research Report Number 171, 32 pp. Phillips, G., Bennion, H., Perrow, M., Sayer, C.D., Spears, B., Willby, N. (2015). A review of lake restoration practices and their performance in the Broads National Park, 1980-2013. Report for Broads Authority, Norwich and Natural England. Beklioglu, M., Levi, E., Cakiroglu, I., Tavsanoglu, N., Bezirci, G., Ozen, A., ...Jeppesen, E. (2014). Manuscript on management options to deal with rising temperature, reduced water input and enhanced nutrients in European lakes. REFRESH Deliverable 3.20, 228 pp. Goldsmith, B.J., Boyle, J.F., Kernan, M.R., Yang, H., Turner, S.D., Bennion, H.B., ...Smyntek, P. (2014). Modelling phosphorus fluxes in Loweswater. ECRC Research Report Number 159, 69 pp. Kelly, M., Acs, E., Bertin, V., Bennion, H., Borics, G., Burgess, A., Denys, L. (2014).Water Framework Directive Intercalibration Technical Report: Lake phytobenthos ecological assessment methods.(ed. S. Poikane). JRC Technical Report EUR 26512 EN, European Union, ISSN 1831-9424, Luxembourg, 135 pp. Moe, J., Bennion, H., Cid, N., Solheim, A.L., Noges, P., Adrian, R., ...Persson, J. (2014). Implications of climate change for ecological reference conditions, thresholds and classification systems for European lakes. REFRESH Deliverable 3.15-16, 108 pp. Goldsmith, B., Salgado, J., Bennion, H., McGowan, S., Hoare, D., Yang, H. (2013). Using novel palaeolimnological techniques to define conservation objectives for Hatch Mere. Report for Cheshire Wildlife Trust. ECRC Research Report Number 158, 33 pp. Bennion, H., Burgess, A., Kelly, M., Juggins, S., Reddihough, G., Yallop, M. (2011). Assessment of ecological status in UK lakes using diatoms. Environment Agency Science Report No. SC070034/TR3, Environment Agency, Bristol, 44 pp. Goldsmith, B.J., Shilland, E.M., Bennion, H.B., Sayer, C.D., Salgado, J., Burgess, A., Darwell, A. (2011). Lake Macrophyte and Habitat Surveys for the Water Framework Directive, 2010: Final Data Report to the Environment Agency. London: ENSIS Ltd.
Kolada, A., Hellsten, S., Sondergaard, M., Mjelde, M., Dudley, B., van Geest, G., ...Bertrain, V. (2011). Report on the most suitable lake macrophyte based assessment methods for impacts of eutrophication and water level fluctuations. Water bodies in Europe: Integrative Systems to assess Ecological status and Recovery (WISER). Deliverable D3.2-3. Bennion, H., Burgess, A., Roe, K., Yang, H., Thomas, R. (2010). Palaeoecological study of Llyn Padarn. CCW Contract Science Report No. 918. Bennion, H., Clarke, G., Goldsmith, B., Battarbee, R.W. (2010). Diatom analysis of three Norwegian cores. Report to the Norwegian Institute for Water Research, Project Number O-28428. ECRC Research Report No. 142. Bennion, H., Goldsmith, B., Burgess, A., Skulmowska, S. (2010). Diatom analysis of Polish cores. Report to the Norwegian Institute for Water Research, Project Number O-28428. ECRC Research Report No. 143. Bennion, H., Goldsmith, B., Clarke, G., Rawcliffe, R., Rose, N., McGowan, S., ...Panizzo, V. (2010). Using novel palaeolimnological techniques to define lake conservation objectives for three Cheshire meres. Final Report to Natural England, Final Report to Natural England, ECRC Research Report No 146. Bennion, H., Winchester, A.J.L. (2010). Linking historical land-use change with palaeolimnological records of nutrient change in Loweswater, Cumbria. Loweswater Care Project Short Project Report. Goldsmith, B., Burgess, A., Bennion, H., Turner, S., Appleby, P., Piliposian, G. (2010). Palaeoecological and surface sediment analysis of Welsh SSSI / SAC lakes incorporating chemical and bathymetric surveys. Report to CCW as part of Lake Macrophyte & Habitat Surveys for the Water Framework Directive, 2007-10. Contract No: 20457, The Environment Agency. Bennion, H., Rawcliffe, R., Goldsmith, B., Yang, H., Roe, K., Davidson, T. (2009). Palaeoecological study of two lochs: Butterstone Loch and Lindores Loch. ECRC Research Report No. 137. Bennion, H., Rawcliffe, R., Burgess, A., Davidson, T., Sayer, C., Rose, N., Clarke, S. (2009). Using novel palaeolimnological techniques to define lake conservation objectives (Phase 2). Final Report to Natural England. ECRC Research Report No.135. Bennion, H., Rawcliffe, R., Burgess, A., Clarke, G., Davidson, T., Rose, C., ...Turner, S. (2009). Using novel palaeolimnological techniques to define lake conservation objectives. Final Report to Natural England. Natural England Commissioned Report No. 22. Rawcliffe, R., Bennion, H., Davidson, T.A. (2009). Macrofossil analyses of White Loch. Final Report to SEPA and SNH. ECRC Research Report No. 134. Bennion, H., Clarke, G., Davidson, T., Morley, D., Rose, N., Turner, S., Yang, H. (2008). Palaeoecological study of seven mesotrophic lochs. Final Report to SEPA and SNH. ECRC Research Report No 121; 105 pp. Bennion, H., Clarke, G., Davidson, T., Rose, C., Rose, N., Turner, S., Sayer, C. (2008). Using novel palaeolimnological techniques to define lake conservation objectives (Phase 1). Final Report to Natural England. ECRC Research Report No.126. Bennion, H., Burgess, A. (2007). Palaeoecological study of Loch Ussie. Final Report to SNH. ECRC Research Report No. 114. Burgess, A., Appleby, P., Piliposian, G., Turner, S., Rose, N., Bennion, H. (2007). Palaeoecological study of South Milton Ley, South Devon. Final report to Faber Maunsell Ltd.. ECRC Research Report No. 110. Clarke, G., Bennion, H., Turner, S., Yang, H. (2007). Palaeoecological study of Lochs Arkaig, Huamavat and Shiel. Final Report to Marine Harvest. ECRC Research Report No. 119: 30 pp. Kelly, M.G., Juggins, S., Bennion, H., Burgess, A., Yallop, M., Hirst, H., ...Rippey, B. (2007). Use of diatoms for evaluating ecological status in UK freshwaters. Environment Agency Science Report No. SC030103, Environment Agency, Bristol: 171 pp. Bennion, H., Johansson, L., Holmes, J., Rose, N.L., Turner, S. (2006). Further description of wetland sediment core analysis. Deliverable No. 100. Report to EU as part of the "Integrated Project to evaluate the Impacts of Global Change on European Freshwater Ecosystems" (Eurolimpacs). Project no. GOCE-CT-2003-505540. Burgess, A., Bennion, H., Rose, N.L. (2006). Palaeoecological study of Linlithgow Loch, Scotland. Final report to the Scottish Environment Protection Agency, Scottish Natural Heritage and Historic Scotland. ECRC Research Report 109. Dalton, C., Taylor, D., Leira, M., Jordan, P., Chen, G., Irvine, K., ...Nolan, T. (2006). IN-SIGHT EPA/ERTDI Project # 2002-W-LS/7. Work Package (WP) 3 (months 21-36). Final Report. Department of Geography, University of Limerick (Mary Immaculate College). Adams, B., Peach, D., Bennion, H., Williams, R. (2005). WP1: Characterising the Resource Base. RELU Theme A Scoping Study for Achieving Sustainable Catchment Management:Developing Integrated Approaches and Tools to Inform Future Policies (RES-224-25-0081). Bennion, H., Rose, N.L., Burgess, A., Yang, H., Bowers, J. (2005). Palaeolimnological investigation of English Lake SSSIs. Final Report to English Nature and the Environment Agency. ECRC Research Report No. 102. Burgess, A., Bennion, H., Clarke, G. (2005). Assessing reference conditions and ecological status for lakes using subfossil diatoms. Final Report to the Environment Agency. ECRC Research Report No. 105 and Environment Agency Science Report No. SC030103/SR3. Carvalho, L., Maberly, S., May, L., Reynolds, C., Hughes, M., Brazier, R., ...Bennion, H. (2005). Risk assessment methodology for determining nutrient impacts in surface freshwater bodies. Science Summary SC020029/SS. Bristol: Environment Agency. Goldsmith, B., Bennion, H., Hughes, M., Jones, V., Rose, C., Simpson, G. (2005). Integrating habitats directive and Water Framework Directive monitoring: Baseline surveys of Natura 2000 standing water habitats in Wales. CCW Contract Science Report No. 704. King, L., Bennion, H., Kelly, M., Yallop, M. (2005). Sampling littoral diatoms in lakes for ecological status assessments: a literature review. Science Report SC030103/SR1. Bristol: Environment Agency. Rose, N.L., Appleby, P.G., Sayer, C.D., Bennion, H. (2005). Sediment accumulation in the Broads. A report to the Broads Authority. ECRC Research Report No. 101. Taylor, D., Leira, M., Dalton, C., Jordan, P., Irvine, K., Bennion, H., Magee, E. (2005). IN-SIGHT EPA/ERTDI Project #2002-W-LS/7. Work Package (WP) 2 (month 7-20). Final Report. Department of Geography, Trinity College London: 65 pp. Williams, R., Bennion, H., Reynolds, B., May, L. (2005). WP2: Characterising the Ecological Resource Base. RELU Theme A Scoping Study for Achieving Sustainable Catchment Management:Developing Integrated Approaches and Tools to Inform Future Policies (RES-224-25-0081). Bennion, H., Clarke, G., Rose, N.L., Theophile, S. (2004). 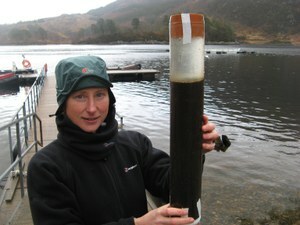 Sediment core study of Loch Langavat, Isle of Harris. Final report to Marine Harvest. Final Report to Marine Harvest. ECRC Research Report No. 94: 21 pp. Hoare, D.J., Sayer, C.D., Liptrot, E., Emson, D., Bennion, H., Appleby, P.G., Waldock, M.J. (2004). Tributyltin (TBT) and the decline of the Norfolk Broads: Hickling Broad and Barton Broad. Second Report on Boat-derived Contamination. ECRC Research Report No. 96. Bennion, H., Burgess, A., Boyle, J., Appleby, P.G., Rose, N.L., Sayer, C.D., Theophile, S. (2003). Sediment survey of the Suffolk Broads. Final Report to English Nature, Contract No. NB/T/806/02-04. ECRC Research Report No. 92: 93 pp. Bennion, H., Hilton, J., Hughes, M., Clark, J., Hornby, D., Kernan, M., Simspon, G. (2003). Development of a risk based prioritisation protocol for standing waters in Great Britain based on a georeferenced inventory - Phase 2 (P2-260/2/TR1). Carvalho, L., Maberly, S., May, L., Reynolds, C., Hughes, M., Brazier, R., ...Hornby, D. (2003). Risk Assessment Methodology for Determining Nutrient Impacts in Surface Freshwater Bodies. Final R&D Technical Report P2-260/9 to the Environment Agency and Scottish Environment Protection Agency: 159 pp. Goldsmith, B.J., Luckes, S.J., Bennion, H., Carvalho, L., Hughes, M., Appleby, P.G., Sayer, C.D. (2003). Feasibility studies on the restoration needs of four lake SSSIs. Final Report to English Nature, Contract No. EIT 30-05-005. ECRC Research Report No. 87: 109 pp. Bennion, H., Clark, J., Simpson, G. (2002). Development of a risk based prioritisation protocol for standing waters in Great Britain based on a georeferenced inventory - Phase 2. R&D Project Record P2-239. Bennion, H., Goldsmith, B., Carvalho, L. (2002). Trends in Scotland's fresh waters: sites affected by eutrophication. Final Report by ENSIS Ltd to Scottish Natural Heritage. Carvalho, L., Bennion, H., Darwell, A., Gunn, I., Lyle, A., Monteith, D., Wade, M. (2002). Physico-chemical Conditions for Supporting Different Levels of Biological Quality for the Water Framework Directive for Freshwaters. R&D Technical Report. Final Report to the Environment Agency. Carvalho, L., Bennion, H., Dawson, H., Furse, M., Gunn, I., Hughes, R., ...Monteith, D. (2002). Nutrient conditions for different levels of ecological status and biological quality in surface waters (Phase 1). R&D Technical Report P2-260/4. Final Report to the Environment Agency. Davidson, T., Bennion, H., Yang, H., Appleby, P.G., Luckes, S. (2002). Investigation of recent environmental change at the Bosherston lakes, Pembrokeshire. CCW Contract Science Report No. 496. Allott, T.E.H., Monteith, D.T., Duigan, C.A., Bennion, H., Birks, H.J.B. (2001). Conservation classification of lakes in Wales, with implications for the EU Water Framework Directive. CCW Contract Science Report No. 426. Battarbee, R.W., Juggins, S., Gasse, F., Anderson, N.J., Bennion, H., Cameron, N.G., ...Telford, R. (2001). European Diatom Database (EDDI). An Information System for Palaeoenvironmental Reconstruction. ECRC Research Report No. 81: 94 pp. Bennion, H. (2001). Assessing the value of plant macrofossil records in shallow lakes. Final report to NERC for research grant NER/M/S/2000/00320. Bennion, H., Fluin, J., Appleby, P., Ferrier, B. (2001). Palaeolimnological investigation of Scottish freshwater lochs. Final report to SNIFFER No. SR(00)02 by ENSIS Ltd, University College London. Bennion, H., Hilton, J., Carvalho, L., Clark, J., Curtis, C., Hughes, M., ......C. (2001). Development of a georeferenced based inventory of standing waters for England and Wales, together with a risk based prioritisation protocol – Phase 1. Final Report to the Environment Agency. Bennion, H., Appleby, P.G., Boyle, J.J., Carvalho, L., Luckes, S.J., Henderson, A.C.G. (2000). Water quality investigation of Loweswater, Cumbria. Final Report to the Environment Agency by the Environmental Change Research Centre, University College London: pp 80. Luckes, S.J., Bennion, H., Carvalho, L. (2000). Conservation of lake SACs and SSSIs. Final Report to English Nature on Contract No. EIT 20/23/03 by the Environmental Change Research Centre, University College London: pp 69. Rose, N.L., Appleby, P.G., Bennion, H., Boyle, J.F., Cai, S., Dai, X.R., ...Yu, L. (2000). Environmental change and atmospheric contamination across China as indicated by lake sediments. (Joint Project Q741). Data report to The Royal Society. Environmental Change Research Centre, University College London. Anderson, N.J., Appleby, P.G., Patrick, S., Bennion, H., Jensen, K.G. (1999). Palaeolimnological surveys of selected large lakes in the north of Ireland. Final report to the Department for the Environment (NI), Environment and Heritage Service, with funding from the INTERREG programme. Environmental Change Research Centre, Research Report No. 63: 54 pp. Neunlist, S., Laczko, E., Bennion, H. (1999). BIOMASS: Biodiversity of Microorganisms in Aquatic Systems. Final Report, Volumes I and II. Contract No DG XII ENV4-CT95-0026. ENSCMu, Mulhouse, France. Bennion, H. (1998). Trial classification of lake and water quality in England and Wales. Technical Report. Final Report to the Environment Agency by ENSIS Ltd.
Bennion, H., Allott, T.E.H., Shilland, E. (1998). Investigation of environmental change in two mesotrophic lakes in Mid-Wales: Llyn Eiddwen and Llyn Fanod. Report to the Coutryside Council for Wales, Contract No. FC-73-07-71A, CCW Contract Science Report No. 247 and Environmental Change Research Centre, Research Report No. 46. Johnes, P.J., Curtis, C., Moss, B., Whitehead, P., Bennion, H., Patrick, S. (1998). Trial classification of lake and water quality in England and Wales. Project Record. Final Report to the Environment Agency by ENSIS Ltd.
Bennion, H., Allott, T.E.H., Appleby, P.G., Hunt, M., Oliver, E., Patrick, S.T. (1997). A study of recent environmental change within selected standing waters proposed as Special Areas of Conservation (SAC) in Wales - Llyn Idwal, Llyn Cwellyn and Llyn Safadden (Llangorse Lake) Phase II.CCW Research Report No. 187. Bennion, H., Monteith, D.T., Appleby, P.G. (1997). Nutrient reconstructions in standing waters. Final Report to English Nature by Ensis Ltd. English Nature Contract No. F80-11-02. Environmental Change Research Centre, Research Report No. 37. Bennion, H., Shilland, E., Appleby, P.G. (1997). A study of recent environmental change at Llyn Tegid (Lake Bala), Wales. A Report to the Environment Agency. Environmental Change Research Centre, Research Report No. 36. Bennion, H. (1996). A study of recent environmental change within selected standing waters proposed as Special Areas of Conservation in Wales. Report to the Countryside Council for Wales on Contract No. FC 73-01-131. Environmental Change Research Centre, Research Report No. 22 and CCW Research Report No. 130. Bennion, H. (1996). Diatom derived phosphorus targets-Broadland. Final Report to the Environment Agency. Environmental Change Research Centre, Research Report No. 26. Bennion, H. (1995). Quantitative reconstructions of the nutrient histories of three Anglesey lakes. Report for the Countryside Council for Wales under Contract No. FC 73-01-78A. CCW Contract Science Report No 87. Allott, T.E.H., Monteith, D.T., Patrick, S.T., Duigan, C.A., Lancaster, J., Seda, J.M., ...Harriman, R. (1994). Integrated classification and assessment of lakes in Wales: phase 1. Final Report to the CCW Under Contract No. FC 73-01-71. CCW Contract Science Report No. 85. Rose, N.L., Battarbee, R.W., Bennion, H., Boyle, J.F., Cai, S., Harlock, B.H., ...Yu, L. (1994). Palaeolimnological investigations of lakes on the Jianghan Plain, Central China. Report to the Royal Society Project Q 607/KB. Environmental Change Research Centre, Research Report No. 7. Kelly, M.G., Bennion, H., Cox, E.J., Goldsmith, B., Jamieson, J., Juggins, S., ...Telford, R.J. (2005). An interactive CD-ROM for identifying freshwater diatoms. Environment Agency, Bristol. Bennion, H. (1993) A diatom-phosphorus transfer function for eutrophic ponds in south-east England. Unpublished PhD thesis. University of London. The development and validation of diatom-phosphorus transfer functions for reconstructing changes in nutrient status of lakes. Impacts of eutrophication on standing fresh waters over a range of time scales. The use of the lake sediment record to assess environmental change, reference conditions and restoration targets. Application of science to lake management and conservation, particularly the EU Water Framework Directive. Joint Project Leader of Royal Society/Chinese Academy of Sciences collaborative project on the Eutrophication of lakes in Hubei Province, Central China (1991-1994) and participant in the follow up projects on Environmental change and atmospheric contamination (1998-2001) and Palaeolimnology and shallow lake ecosystem restoration (2004-2006). Joint principal investigator of NERC project to Develop a transfer function between lake anoxic factor and sedimentary chironomid sub-fossil species abundance (1999-2000). 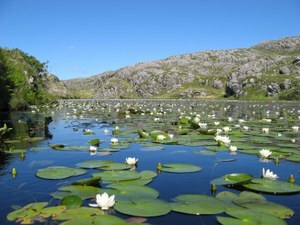 Principal investigator of NERC project to Assess the value of plant macrofossil records in shallow lakes (2000-2001). Key partner in the EU Fourth Framework Environment and Climate Programme Biodiversity of Micro-organisms in Aquatic Systems (BIOMASS) (1996-1999). Joint-scientific co-ordinator and steering group chair of the EU Fourth Framework Environment and Climate Programme European Diatom Database (EDDI) (1998-2001). Key partner in Achieving Sustainable Catchment Management: Developing integrated approaches and tools to inform future policies as part of the Rural Economy and Land Use (RELU) Scoping Study, Funded by ESRC, BBSRC & NERC (2004-2005). Task leader of the EU Sixth Framework Programme Integrated Project to evaluate the impacts of global change on European freshwater ecosystems (Euro-limpacs) (2004-2009). Project manager of over 80 projects funded by bodies such as the Environment Agency, English Nature, Scottish Natural Heritage, Countryside Council for Wales, Scotland and Northern Ireland Forum for Environmental Research, and the Irish Environment Protection Agency (1995-present). These cover research topics such as nutrient reconstructions of standing waters, lake classification and monitoring, water quality and sediment assessment, lake database and risk protocol development, and restoration feasibility studies (see ‘Impact’ section for details). Helen is interested in the application of limnology and palaeolimnology to lake management and conservation, particularly the EU Water Framework Directive. The desire to contribute to the management of the aquatic environment underpins all of her research. 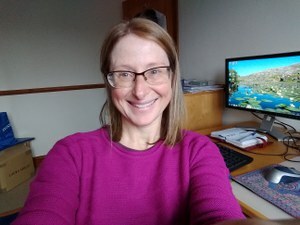 Helen has worked closely with government and conservation agencies to define ecological and chemical reference conditions for lakes in Europe and in China. For example, she has been centrally involved in advising the Environment Agency, Scottish Environment Protection Agency, Natural England, Countryside Council for Wales (now Natural Resources Wales) and Scottish Natural Heritage on reference conditions for UK lakes including development of an ecological classification tool using diatoms (DARLEQ). This was facilitated by her invited membership of the UK Lakes Task Team (2005-2009) and provided the evidence base to inform UK Government response to the EU Water Framework Directive. She co-edited a special issue of Journal of Paleolimnology (vol 45, 2011) on "Reference states and lake restoration". Her applied diatom work has helped to inform restoration strategies of >50 lakes suffering from nutrient enrichment. She was an invited guest on BBC Radio 4s Material World programme in Sept 2005 to speak about diatoms as indicators of environmental change. She has given talks to local interest groups (e.g. Morvern Historical Society) and regularly presents her research outputs at meetings attended by a range of stakeholders (e.g. Llangorse Lake and Llyn Tegid symposia and the Loweswater Care Project). She is a member of the Environment Agency (EA) expert panel on diatom quality assurance and hosts regular training workshops for EA staff. From 2005-2018 Helen was a director of ENSIS Ltd, an environmental consultancy within the Geography Department dedicated to supporting the research of the Environmental Change Research Centre. On behalf of ENSIS Ltd, she co-ordinated applied work on lowland and shallow lake systems. Identification of reference lakes and evaluation of palaeoecological approaches to define reference conditions for UK (England, Wales, Scotland & Northern Ireland) ecotypes (2002-2004), Scotland and Northern Ireland Forum for Environmental Research. Development of an interactive CD-ROM for the identification of freshwater diatoms of the British Isles (2002-2004), Environment Agency. Identification of reference-status for Irish lake typologies using palaeolimnological methods and techniques (IN SIGHT) (2003-2006), Environmental Protection Agency Ireland. Pilot lake monitoring network to support the Water Framework Directive, Phases 1, 2 and 3 (2003-2006), Environment Agency. Site Condition Assessments (2004-2006), Countryside Council for Wales. Establishing reference conditions for Lake Vansjoe, Norway (2005), NIVA. DALES - Development of a phytobenthos classification tool for lakes and lochs (2004-2007), Environment Agency. Palaeoecological study of Linlithgow Loch (2006), Scottish Environment Protection Agency, Scottish Natural Heritage & Historic Scotland. Environmental Improvement Plan (EIP) for impacted mesotrophic lochs - palaeocological approaches (2006-2007), Scottish Environment Protection Agency. South Milton Ley Habitat Investigations (2006-2007), Faber Maunsell. Using novel palaeoecological techniques to define lake conservation objectives (2007-2009), Natural England. Palaeoecological study of two fish-stocked lochs (2009), Scottish Natural Heritage. Palaeoecological study of Llyn Padarn (2009-2010), Countryside Council for Wales. Palaeoecological analyses of Norwegian and Polish lakes (2009-2010), NIVA. Diatom analysis and phosphorus reconstruction of Lake Seldalsvatn, Norway (2010), International Research Institute of Stavanger. Using novel palaeolimnological techniques to define lake conservation objectives for three Cheshire meres (2010), Natural England. Using novel palaeolimnological techniques to define lake conservation objectives for Hatch Mere (2011-2012), Cheshire Wildlife Trust. A review of Broads restoration and management: history, current condition and future recommendations and restoration feasibility studies for three broads (2013-2014), The Broads Authority. MSc Aquatic Science (Lectures on 'Water Policy - legislative and institutional frameworks'; 'Lake management and restoration'). 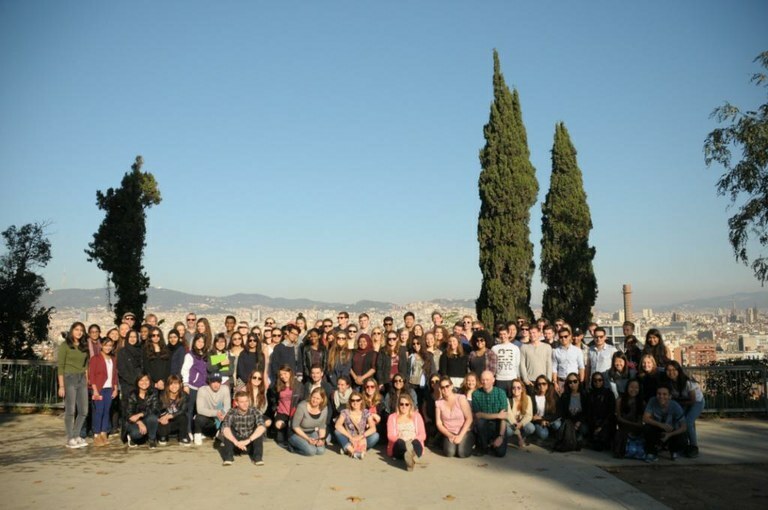 Supervision of PhD, Masters and undergraduate dissertation students. Nicola Hughes (1998-2001), Benthic diatoms in lowland lakes. PhD awarded. Nicola now works in quality assurance and is currently QA manager with responsibility for audit, communication and enhancement in the Faculty of Health and Social Care at Anglia Ruskin University (Cambridge). Tom Davidson (2001-2005), Ecological assessment of shallow lakes using contemporary and palaeoecological methods. 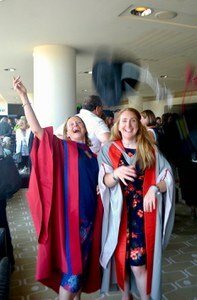 PhD awarded. Tom is currently a post-doctoral Research Fellow with the Environmental Change Research Centre at UCL and specialises in shallow lake ecosystems. David Emson (2006-2014), Palaeoecological studies in ponds to explore past Lemna abundances and consequences for pond food-web. Emily Smith (2014-) Conduits of invasive aquatic species to the UK: the angling route?